At one point in time, remote controls were all the rage. Being able to use an electrical appliance from a short distance away, and sometimes from quite a long distance as well, felt like the future was now. As time passed, these tiny devices kept getting smaller and smaller, until they reached a size no bigger than a coin. Of course, as decades past and technology advanced, remote controls because rather obsolete, or have been integrated into the function of other devices. Still, there's something about the tactile feel of a remote clicker that offers some type of warm shower of joy when you press it and hear that satisfying click. The history of remotes goes back almost an entire century. They were first used for military purposes, especially for detonation devices. Over time, as television became more and more popular, they started finding their way into civilian applications. The first remotes were really simple and worked with a fixed code that wouldn't change unless the user decided to alter it. This made old openers more easily exploitable, as a phenomenon of "code-jacking" began to develop. Tech-savvy burglars would intercept the communication codes an opener and its remote used to communicate, and then use them in order to operate the door themselves. 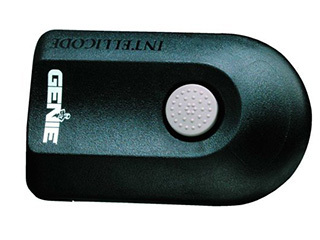 Sometimes, this vulnerability resulted in situations where a homeowner and a neighbor, who both used a similar opener, would accidentally open or close each other's garage door. In order to take matters into their hands, opener manufacturers made extraordinary changes to their products and started using a new feature called: rolling code technology. This forced the opener and the remote to change their code every single they interacted. I.e. every time the door opened. This way, even if the codes were intercepted, they'd become useless as soon as they had been used. Lately, these once innovative devices became old-fashioned, or "retro". Wireless garage door keypads started taking over the classic remote clickers. These allow for much easier access, and for each family member to have an access code of their own. New openers can now be operated by tablets, computers, and even smartphones, and their WiFi compatibility allows you to use them from practically anywhere in the world. Technology keeps advancing. Who knows what tomorrow will bring. We may simply need to talk to our garage door to get it to open. If you're looking for a new garage door opener who uses all of the latest and most innovative technology, then reach to our experts at Garage Door Repair Tacoma and we'll help you find the perfect one.